RUSH: Let’s go to audio sound bite number 1. When I saw this on the roster today, I got a little guilty. I don’t know how long ago it was, but it’s at least some months ago. Ted Koppel made a request for a sit-down interview with me for I think it was a piece on CBS, their Sunday morning show. I think that’s what it was. And I intended to reply ’cause back in the early nineties, I had a very, very good relationship with Ted Koppel. I was a frequent guest on Nightline, and it was a highlight for me. I would talk to Mr. Koppel during the day of those appearances and so forth and get an idea of what was happening on the program that night. And he was respectful. And I enjoyed it. Then — I’m not gonna go into detail — something happened and there was a divorce and Ted Koppel and I didn’t speak and still haven’t spoken. It involved Barney Frank, and it was something I ended up being mischaracterized on Nightline, and Ted Koppel called and apologized, but asked me not to tell anybody that he had called and apologized. ‘Cause it was really a bad thing that Barney Frank had said. And some weeks later the subject came up, and I went ahead and mentioned that Koppel had called and apologized, and it made him mad and I haven’t talked to him since. He’s been after me to do an interview for one of these pieces, and I simply forgot it. I might have actually done it. As I say, it’s within the past three to four months. And I saw the sound bite roster, and there’s two Koppel bites from this program, I think this episode of whatever it is he wanted me to appear on. And I started feeling a little guilty not because — I just forgot it. I didn’t even get back to him. That’s not good. So, anyway, to the sound bites we go. It’ll illustrate much of what I just set the table with. This was March the 7th at the Carnegie Endowment for International Peace. They had an event entitled, “The War On The Press: A Conversation with Marvin Kalb and –” obviously this is not what he wanted me to appear on, but I know this is what he wanted to talk to me about. KOPPEL: — a week who would be prepared to live and die by everything he says. I am confident that there are certainly a couple of million people in this country who feel the same way about Rachel Maddow. The difference between then and now is, back then people of differing ideologies were able to settle on a sense of trustworthiness in a person in the middle. The middle is what’s missing. RUSH: Yeah. As I’ve said, I have a great deal of respect for Ted Koppel. He is a member in good standing of the leftist media. He may not think of himself that way, but he is. But this comment here is actually reflective of a viewpoint held by media members of a certain age. He’s really lamenting the loss of the media monopoly the left had, as you will hear in the next bite. He wanted to continue with his point. An audience member asks, “Who is the most trusted man in America now if it’s not Walter Cronkite?” So he says, “Well, there isn’t really one. But in Rush Limbaugh’s world, he is. With his audience, he is. With people on the left, they are. But there isn’t any one person,” he says, “that can do it anymore because nobody’s in the middle, like Walter Cronkite was in the middle. There’s nobody that bridges the gap,” which, of course, isn’t why Cronkite was who he was and what he was. RUSH: Here we go with this. KOPPEL: — the broadcast media. The Fairness Doctrine dictated that if you were gonna put something on the air, an interview on the air with someone of liberal persuasion, it needed to be balanced with a similar kind of point of view from someone from the conservative side. That ended under the Reagan administration in 1987. 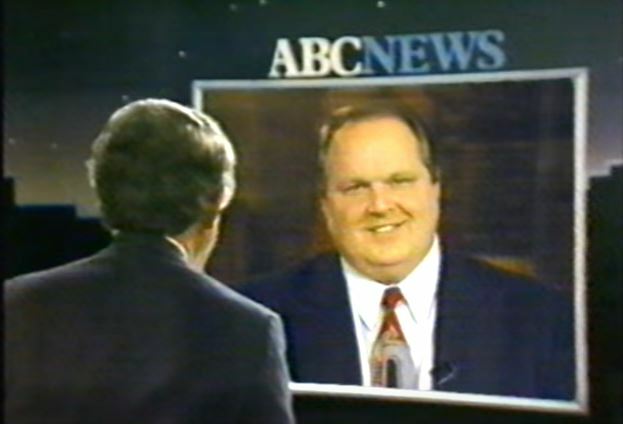 And not by coincidence, Rush Limbaugh had his first broadcast in 1988. And from then on, you no longer have the same kind of moderating control that the federal government was once able to exercise through the FCC. RUSH: There is a lot to unpack here, and I’ve unpacked it countless times before. 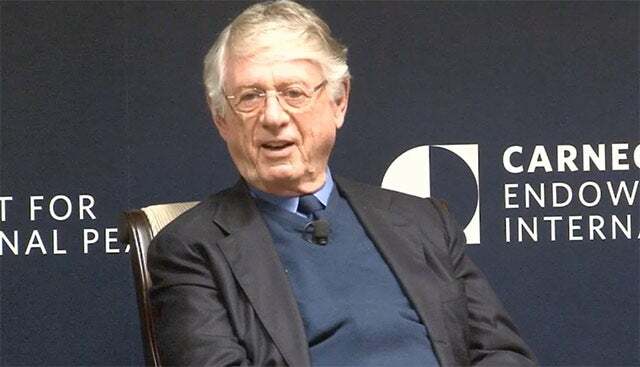 Now, Ted Koppel is from the Cronkite era, and so his viewpoint has that as its floor or common ground. 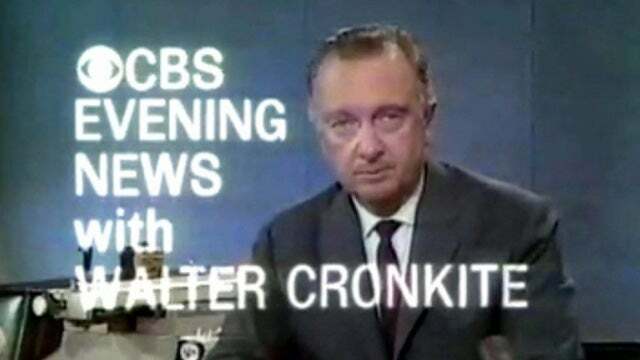 Cronkite was not in the center. There was no center. It was just perceived to be the center because there was no so-called conservative media, not nationally. I mean, you had some local stuff and maybe some magazines, but you didn’t have anything — anything — to compete with the mainstream media’s monopoly on the news. That’s what they’re all lamenting that they have lost. Now, I know Koppel’s being very nice to me; don’t misunderstand here. But the Fairness Doctrine, once again, is irrelevant! But these guys can’t get over it! 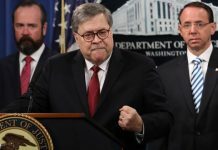 They can’t get over, “If it hadn’t been for the federal government deregulating radio, why, we wouldn’t have lost our monopoly.” I worked for three years in Sacramento, California, under the Fairness Doctrine. It was never an issue. It was never discussed. The reason the Fairness Doctrine was eliminated because it was antiquated and outmoded and was no longer effective or even utilized. The idea of balancing your programming? He’s confusing, as a lot of people do, the equal-time doctrine with the Fairness Doctrine — and they’re not even really similar when you get down to it. The Fairness Doctrine did not impair me at all. I did the exact show you hear every day here in terms of ideological content in Sacramento, California, that I’m doing here. There wasn’t one effort to make me stop. There wasn’t one attempt to impose the Fairness Doctrine. Well, there was one time some local activist got mad, came in, and demanded some time to respond. I thought it would be good radio, so I let the guy come in. But it was not mandated. It was not ordered. It was not a factor. It’s not a factor today. It was not a factor in 1988. The left just uses this as a crutch to explain, in part, why they’ve lost their monopoly. It can’t be because this program is good. It can’t be because I have some talent and know how to use it and work a radio program pretty well. Can’t be that. No. It’s gotta be because the federal government got rid of a bunch of regulations. But this attitude here that Koppel explains is an attitude that is still to this day felt by practically everybody in the Drive-By Media in the sense that they just can’t get over having lost their monopoly, and they can’t get over having to compete. I believe, folks, that the loss of their monopoly then forced them to have to compete, and that’s what drew them out. They used to hide behind this cloak of objectivity and fairness and the fact that they weren’t biased and that they weren’t liberals and didn’t have any opinions whatsoever, that they were professional journalists. Well, you introduce competition into the news business, and, lo and behold, look what happened. They began to stake out exactly who they are. They stopped hiding who they are. They started proclaiming what they believe. Well, they still try to claim objectivity, but they’re making no bones about the fact that they are uber-leftists, and they’re doing their best to persuade as many people as they can to join them. They’ve become activists. They’re not journalists any longer, despite what they may think. But the audience now is well over 25 million, the weekly “cume,” not 14 to 15. That’s a trade magazine that continues to use that number, which is where these people get it. But I’ve always had the impression that he, Koppel, was intrigued. It’s why he always had me on Nightline. He was intrigued; there wasn’t anything like this program when it started. Brinkley had me on This Week with David Brinkley. Same thing. “There’s no one like you,” he said. That’s how unique conservatism in the national media was. “There’s nobody like you. We don’t have anything like this out there.” I heard it from Koppel, I heard it from Brinkley, and it was all about the fact that it was the first time that there was actual confident conservatism presented with fun and good cheer — for the first time — on a national media basis. They didn’t quite know what to do with it, and they still don’t. RUSH: This is Sandy in Atascadero, California. It’s great to have you. I’m glad you waited, sir. Hi. CALLER: Yeah, hi, Rush. Thanks a lot for taking my call. Say, I just gotta say quick kudos for what you were just talking about: Exposing the liberal media techniques to try to kind of fool people. 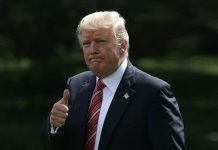 I think, among other things, Trump’s win kind of showed that, you know, the general population is not as stupid and not as unsophisticated as the liberal media tends to think — and that ties into what I was calling about. When you were talking earlier about Cronkite and Fairness Doctrines and equal-time issues, you know, it kind of struck me that, you know, you’re right. Right after that time everything seemed to kind of change somewhat. But, you know, the thing that’s always been interesting to me is, you know, oftentimes they talk about “white privilege,” and I think there has been a truth to that over the years. Well, I think nowadays we’re facing “liberal privilege.” It seems like anything a liberal wants to say, whether it’s on television or in public — wherever it may be — it’s okay, and it’s just accepted. And if you are so bold as to contradict them, you know, God have mercy on you. RUSH: It’s hate! If you disagree with anything liberals believe, you automatically are declared to be a hater. 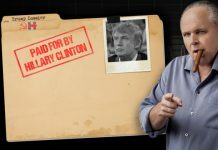 RUSH: This is how they silence people. It’s either that or you are a racist. But primarily… If you disagree with gay marriage, if you disagree with rampant illegal immigration, you hate. You are a hater. CALLER: It’s suddenly personal attacks. It’s not a good conversation, a good back-and-forth of exchanging information. It’s just these sudden personal attacks, and it’s very difficult to handle. I’ve even had one of my sons mention that, you know, he just has to be very careful what he says whenever he’s in public just because, you know, of this very issue. RUSH: Look, they don’t desire a cross-talk and back-and-forth. They don’t want to debate anything. As far as they are concerned, your attitude, my attitude, my views, your views are illegitimate and ought not have a platform, ought not have a mechanism of amplification. They don’t want a level playing field. They don’t want anybody else on it. That’s why they never… They haven’t, in years, taken me on in terms of what I think about — pick an issue. Never once. Every attempt — and it’s the same thing with Trump or anybody else on the right they have a problem with. They immediately smear. They make things up and then they start trying to attack character. They lie about things that you say, take things out of context, and then the mainstream media picks it up and amplifies it, and they basically attempt to destroy your reputation. They’re not interested in what you think. They’re not interested in what your son thinks. They don’t care about free and open debate. You see, the truth of the matter is — and they will never admit this — they know they are in the minority. In terms of the general body of thought, the general mainstream body of thought in this country, they are still in the minority. By that, they know that a majority of what they want could not win in a free and fair national election. So since that’s the case, they bully and maneuver, and they have deep state people write regulations to enact — or judges to enact — what they believe, things they cannot succeed in winning in a national election. I know they win some elections, folks. Don’t misunderstand. But we haven’t lost the country, is my point. They are not the majority of thought. But they present themselves as the majority, and they are treated as the majority by the media. So an image is created that they are the majority and that you and I are the oddballs, the kooks and the freaks, when it’s the other way around. But they can’t prevail in an issue-by-issue debate with somebody who knows what they’re talking about. So they don’t even do that. They don’t even allow that to happen (sigh) in a general sense. You may find exemptions to everything. I mean, you’ll find a liberal on Fox News that will try to debate an issue, and if you pay very close attention, they’re really besmirching people who believe things that they don’t agree with. 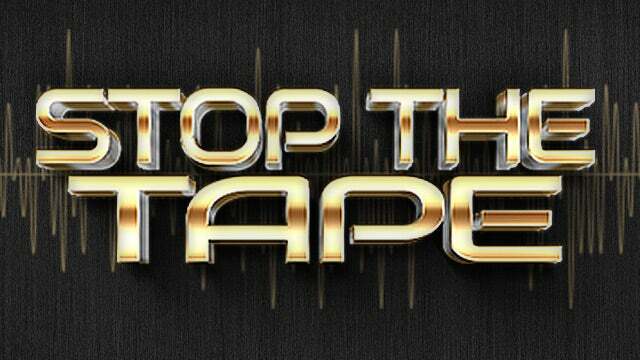 They’ll roll an eye or they’ll say, “Oh, Rush Limbaugh? Come on! Don’t quote him. You can’t be serious,” things like that, rather than actually take on an issue point by point and try to win, because they can’t. They know they’re the minority.